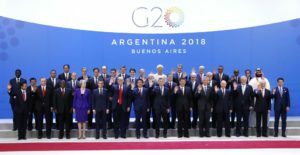 From November 30th to December 1st, the G-20 took place in Buenos Aires. The United States entered the meeting with a hard-faced temper when it came to trade and climate change agreements. In fact, President Trump refused to sign the joint statement on global warming. A nonbinding communiqué released at the end of the summit read: “The United States reiterates its decision to withdraw from the Paris Agreement, and affirms its strong commitment to economic growth and energy access and security, utilizing all energy sources and technologies, while protecting the environment”. But this was not the only happening. 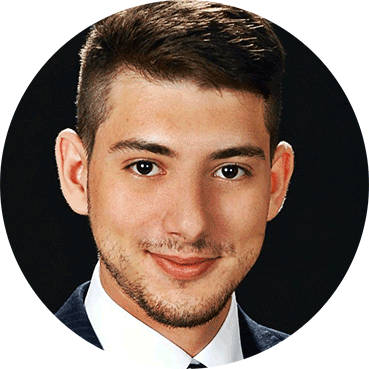 A bigger and more incumbent problem had to be addressed. That is, the ‘Tariff Gate’ with China. A dinner at the G-20 Summit seemed to be the solution in solving, temporarily, the problem. The threatened tariff increase on the additional $200 billion in Chinese goods by the U.S., and the retaliatory increase in tariffs on American goods, was postponed in early December 2018. 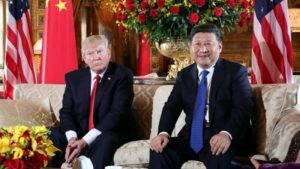 Donald Trump and Xi Jinping agreed to delay their planned increases in tariffs for 90 days, starting on December 1, to allow time for the two countries to negotiating their trade disputes. According to the Trump Administration, “If at the end of the 90 days, the parties are unable to reach an agreement, the 10 percent tariffs will be raised to 25 percent”. White House Press Secretary, Sarah Sanders, told the news media that China had agreed to purchase “a very substantial” amount of agricultural, energy, industrial, and other products from the United States. Furthermore, China had agreed to reduce the 40% tariff on cars coming into China from the United States, although Beijing had not confirmed that by December 4th, 2018. On that date, an article in the newspaper Securities Daily noted that the Chinese government was considering a reduction in the auto tariff but provided no specifics. A White House statement also said that the two leaders had “agreed to immediately begin negotiations on structural changes with respect to forced technology transfer, intellectual property protection, non-tariff barriers, cyber intrusions and cyber theft, services and agriculture”. The agreement was a critical step toward de-escalating the mutually damaging trade war between the U.S. and China. For this reason, financial analysts were cautiously optimistic “We suspect that since he negotiated this deal himself, Trump will be much more reluctant to torpedo it when his own personal reputation is on the line”.